The Tiger football team has a few new faces this season, as students from NU High have joined the team. Coach Pat Mitchell’s first reaction to the N.U. situation was joy. “I knew they had fine players, and any team welcomes good players.” Mitchell said. Players are a part of many different successful aspects of this year’s team. 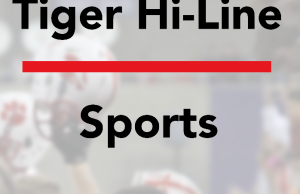 The Tigers have already won their first three games by landslides, and some are seeing a straight path towards State, but Mitchell stresses a step by step approach. “We will worry about State when it comes,” he said. The three new varsity N.U. High players include Andrew Stone, Kyle Denning and Alex Quinones. Each player plays a crucial part this season. Denning plays quarterback along with Jordan Doyle. Stone is a top-ranked reciever. Quinones is a hard-hitting linebacker. “The N.U. players are good people, hard working, talented and very coachable. The fit in well,” Mitchell said. With the high expectations on the team, Mitchell just stresses that each member concentrate on doing his best. As always, Mitchell stresses the importance of another big part of a successful team: the fans. The actions on the field draw upon this support. The next action for the Tigers is this Friday against Cedar Rapids Xavier in the UNI Dome for homecoming.